To design an excellent content strategy, the most important thing (and which very few do), without a doubt, is to start by establishing “where we are headed”. In other words, our goals. We have been working specifically with content marketing for the past 8 years and if there is something we have learned during this time, is that the difference between those that succeed and those that fail is NOT based on the quantity of resources they are able to invest (money/budget). It is in the clarity in which they define “why” they want to engage in content marketing. In this article, we would like to share 3 objectives that, in our opinion, are essential and also universal, and can be used by any company in any industry. 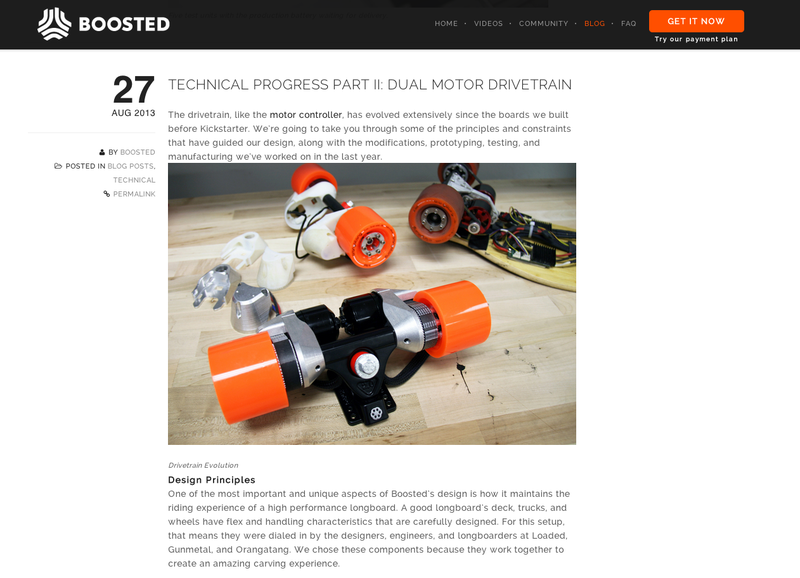 As an example, we’ll take the case of Boosted, a battery-powered skateboards manufacturer. The first and perhaps the most intuitive and familiar goal of a content strategy, is to make your product known. You need to allow potential customers to obtain a greater knowledge of your products. Everything from: “How is it built?,” “How is it used?,” to: “Where can I buy it?”. For this first objective, content such as “The differences between Boosted’s 3 models,” “Advantages of using Boosted to commute to work,” and “Boosted’s policies of use and returns” are some of the most common examples. Also, for SEO, at this first point you will be covering terminology from the brand name itself “Boosted”, to technical variations like “advantages of Boosted,” “parts for building a Boosted,” “requirements for riding a Boosted in public,” etc. All great companies are successful because, at the end of the day, they are solving real, concrete problems of their potential customers, who pay to use their products. The second goal of your content strategy is to focus on the problem your product solves. The audience reached with this type of content goes further than potential clients, and so, if we compare the conversion rate for this objective with the first we will find a significant decrease. However, by utilizing this method you will have the possibility of reaching people of influence, referrals, the media, and possible boosters for our company as well. The final objective is focused on the possibility of “viral” exponential growth in order to build brand awareness. This also means reaching an audience that is beyond our potential direct customers. The idea behind this last objective is to get the most out of social networks through the virality of what your product can obtain when used in exceptional/extreme situations and moments. Another very interesting example is the video created by DollarShaveClub which generated over 17 million visits. Although for this type of content you will probably see the lowest conversion rate from all the three options mentioned in this article, this is definitely an excellent way to reach people who will later have an influence on potential customers. In regards to SEO this can also be greatly beneficial. Viral content attracts links, thus increasing your brand’s recognition when it comes to Google and all the other search engines merely by being mentioned. Knowing the “why” behind your content marketing strategy and your goals, it is time to get to work. 1. Exclusive to experts: What I want to say with this is that all your content needs to be developed by experts. Under no circumstances should your information be poor. There is already too much content in the web that is of poor quality, adding to that accomplishes nothing. For our blog for example, those who built the product with their own hands, the creators, are the only ones who create content. If they do not have the time to do it, the best thing we found to be is to hire a writer who can observe what they do and what they want to communicate and share through a note/article. 2. Focused on the customers: You should never take for granted your customers. Every question, doubt, concern, inquiry, and suggestion that they have, represents an ideal launching pad for the creation of valuable content. If, for example, a customer wants to know who created the product and where the idea came from, then it is the ideal moment to create an interview with the founders and make known the values, mission, and vision of the company. This is the best way to create evangelizers for your project that will help you grow more than you imagined in the long run. 3. Do not concentrate on text only: Even though search engines are mainly organized to index text, you should remember that the second largest search engine in the world is YouTube. Thus, creating videos and other formats for content becomes fundamental. 4. The key is patience: As I mentioned, content quality is of utmost importance. However, time is as well. For content marketing, time plays a determining role. It is not the same as hiring a TV ad or an announcement in Google Adwords, which take effect from one day to the next. With content we are talking about seeing results on an average of weeks or even months. At that brings us to the great overlooked opportunity that content marketing brings – results that do not disappear from one day to the next (a paid announcement, once it is no longer paid, ceases to exist). Effective content will last over time and will bring dividends even a year after being developed. 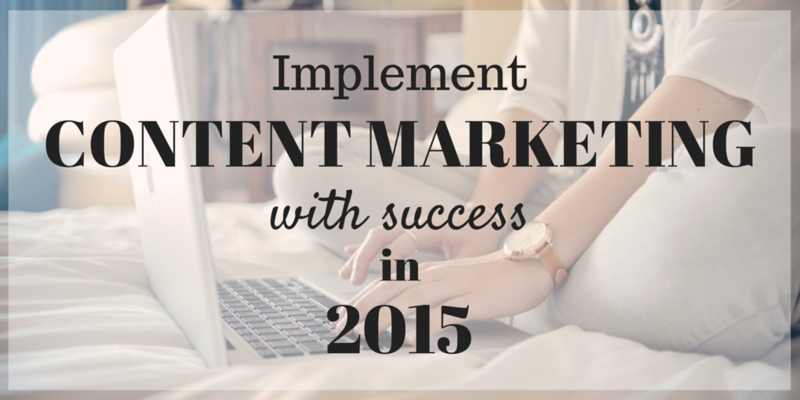 Content marketing is something organic that needs our patience and dedication. It was purposefully that I did not make any mentions regarding the platforms to choose for implementing content marketing (such as WordPress or any other) or other technical implementation throughout this article, as I believe that the most important thing is to first define your goals and to build the road you’ll take towards success.